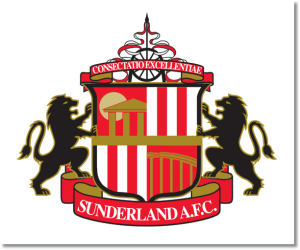 Sunderland take on Southampton in the first Fifth Round FA Cup match of the weekend with the two Premier League clubs vying to continue their recent run of good form. The Black Cats most recent fixture at Manchester City was postponed due to weather, which should be a relief for the team since it gives them an extra couple of days to rest. With their upcoming Capital One Cup Final, this FA Cup match could be seen as surplus, especially with their Premier League future still up in the air. Sunderland’s 2-0 home loss to Hull City could be seen as something of a fluke considering the sending off of Wes Brown left them with 10 men for nearly the entirety of the match. Still, their discipline this season has been less than stellar with 38 yellow cards and 6 reds. Sunderland has made it to the Fifth Round by winning both of their home matches. In the third round they defeated Carlisle 3-1 which was followed by a 1-0 over Kidderminster. It is always possible that Gus Poyet will decide to give players a rest and avoid having key players pick up injuries, additional tiredness, or cards. Sunderland will be without Wes Brown, serving his two match ban, along with injured players Carlos Cuellar, Steven Fletcher, and Kerien Westwood. Southampton’s midweek away 1-0 win over Hull City keeps them securely in the middle of the Premier League table for yet another week. This means that their security in the league can give them more impetus to focus on the FA Cup this season. Southampton’s progression through the third and fourth rounds have been mostly comfortable with a 4-3 home win over Burnley followed by a 2-0 home win over Yeovil Town. Southampton are currently on an eight match unbeaten run in all competitions. Southampton will certainly be targeting this match for a win, but a draw for them wouldn’t be the end of the world considering that they are not in a relegation battle. Southampton’s only injuries remain those to Dejan Lovren and Gaston Ramirez. My pick is for a Southampton win. They are slight favorites and have been playing well lately. In their last six meetings Southampton has yet to defeat Sunderland with three wins for Sunderland and three draws.